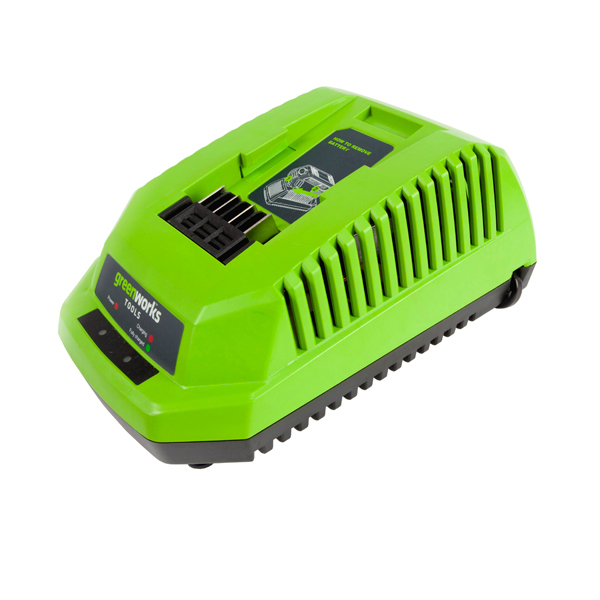 Make easy work of the garden by powering your essential tools using the Greenworks 40V GMAX 4Ah Lithium-ion battery, which keeps you aware of the remaining battery level using an LED indicator. To charge your battery, simply use the 40V Lithium-ion charger in under two hours to full capacity, so you can get back to trimming your hedges and mowing the lawn with minimal fuss. 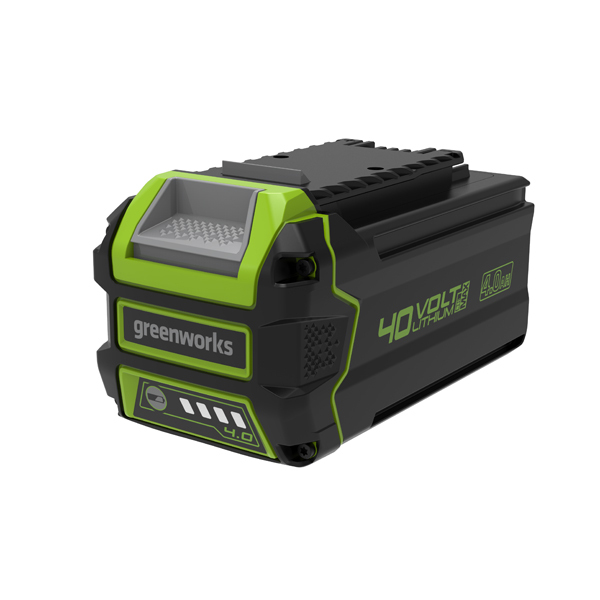 The innovative Greenworks Tools GMAX 40V Lithium-ion battery delivers high performance and efficiency among all Greenworks Tools GMAX tools. A quick charge time of 120 minutes for a 4Ah battery makes the Greenworks tools GMAX series of lawn tools a great option when looking to replace petrol powered products. Featuring a simple snap on and off design for ease of use and innovative battery charge level indicator, lithium-ion batteries offer no negative memory effect. From mowing and edging, to trimming and blowing, you can now complete your garden work with one battery platform that will provide you with the power and performance you need to get the job done quickly and efficiently. 40V 4Ah Lithium-ion Battery (Lithium-ion batteries can be charged any time with no negative memory effect, so they will be at peak power even after hundreds of charge cycles). 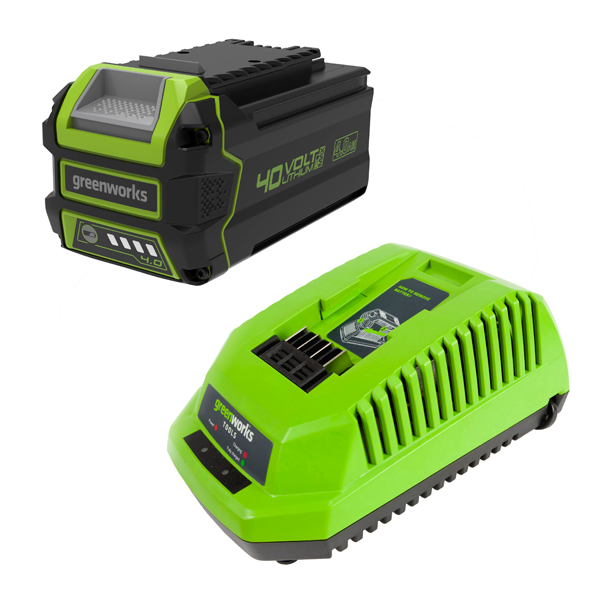 Charging a 40V 4Ah battery in 120 minutes, Greenworks 40V Lithium-ion charger LED indicates when the item has finished charging, plus it can be mounted on the wall.